HG Logistics News Are You Hungry for Some Good Transportation Services? Come to HG Logistics LLC & Feast. Are You Hungry for Some Good Transportation Services? Come to HG Logistics LLC & Feast. HG Logistics LLC brings the TURKEY. Our turkey, the hearty meat of our business, comes in the way of reliable transportation of our customers’ products from origin to destination. We serve the breast meat, not the giblets, so you can count on a full meal of dedicated services. Our turkey is stuffed with savory DRESSING because inside every transaction is a team of dedicated employees working to get you an excellent rate, booking a dependable, reliable carrier, paying careful attention to specifics and details, and monitoring loads from pickup to delivery. At HG Logistics LLC, every load we haul is stuffed with this perfect mix of good customer service. HG Logistics also provides the MASH POTATOES by means of our safety program. The mash potatoes is that one item on the table that appeals to everyone, and they mix well with all the other items on your plate. Stir a little bit of mash potatoes in with your turkey or vegetables and it taste great. Safety does the same thing. It is appealing and it is a priority with everyone at HG Logistics. We mix it in with every area of our business to ensure our carrier base operates in accordance to our safety standards. The end results is that it makes everything go down smoothly just like mash potatoes. We then like to top it all with some GRAVY. The gravy gives everything else that extra boost of flavor. So for us, we like to add extra flavor through our affiliation with TIA and SmartWay. As a TIA member, HG Logistics adheres to the professional standards and business values promoted by the TIA Code of Ethics. We also are a SmartWay Partner committed to their mission to: “save the environment, save fuel, save money, strengthen our economy, and enhance our national security.” With our membership to TIA and SmartWay, our turkey (loads hauled), our dressing (customer service), and our mashed potatoes (safety program) just became a little more delectable. Hopefully, you still have room for DESSERT because HG Logistics has plenty to offer. Of all the items served at Thanksgiving, desserts offer the greatest variety. Usually you have a pick of apple pie, pumpkin pie, or chocolate pie. Often cheesecake and peach cobbler are included as well. There is just so much to choose from. Well, at HG Logistics LLC, we too have a variety of services to offer–heavy hauls, oversized, bulk materials (dry & liquid), specialized projects, temperature controlled, expedited services, LTL & full-sized shipments, export shipping, and hazardous material loads. Just name it and we offer it. So if you want to top your load off with a variety of some sweet choices, HG Logistics is the broker for you. Now Thanksgiving is not just about the great food, but it is also about the wonderful time you get to spend with friends and family. HG Logistics LLC looks at our customers as family, and we would love to sit down with any of you and discuss how we can serve you best. 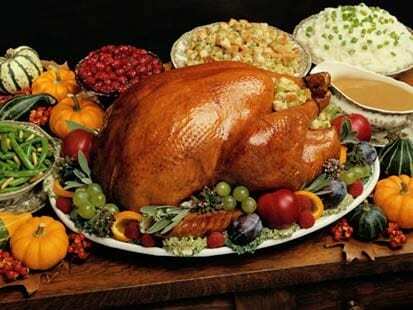 Best of all—at HG Logistics LLC, Thanksgiving does not just come around once a year. It is an everyday experience. We provide the full package from the turkey to all the trimmings. So if you want to indulge in a Thanksgiving Feast that comes by way of transportation services, HG Logistics LLC is the right choice for you. With HG Logistics LLC, you will come away full and satisfied.